The care and maintenance of your life support equipment is our number one priority. 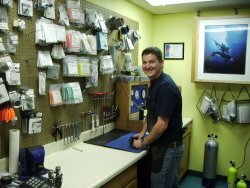 Whether it be a pre-dive check to make sure everything is working before your next trip, or it needs an annual service, our experienced staff will make sure your gear is tuned and ready for your underwater adventure. Our staff of certified technicians have been trained by many of the leading manufacturers, ensuring quality service from start to finish. 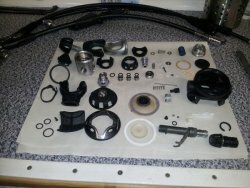 Remember that many manufacturers require annual service to keep your warranty valid. Turnaround time is 7 – 10 days, but rush orders can be accommodated. Once your gear is serviced, take advantage of our on-site pool to test the equipment prior to your trip to make sure everything is perfectly tuned. What's included in an Annual Service? Use this form to ask any questions or leave comments.